Well, I just got off Temple’s campus where I was with Alice and our new friend, Kelly, asking people to tell me their story. They always ask me what I’m doing and why I’m doing it. I say, “I’m a pastor for Circle of Hope and we specialize in building relationships.” To use the Christian-ese, we specialize in the “incarnational,” because that’s what Christ did for us: relate. I’ll be honest, though, I often hesitate to make such a proclamation because I often think that Christians have a tarnished reputation at universities like Temple. In fact, one friend was poking fun at the idea of being “born again” as he spoke to me. Studies like this one discourage me further. It is interesting that fewer and fewer Americans believe in God or take the Bible seriously, but are still afraid of death and hope for something more. I think they want to believe in something bigger than they are and participate in something more fulfilling than their everyday life. But it seems like many have stopped thinking that faith in Jesus is an option for them. I often wonder why. Ted Cruz gives me a reason every day it seems, as he calls on us to carpet bomb the Middle East while nearly in the same breath professing his faith. Another reason, of course, is that so-called Christians have perpetuated hatred all over the country, building walls instead of bridges. You can point to many examples of this throughout history, but this week the most obvious reason is how so many Christians interpret the Scripture to discriminate against women. I am still amazed that even the “successful” churches in town (you may know them) still believe that women are not equally gifted and responsible to teach and serve. Some ban them from preaching. Someone was just telling me of her experience with this line of thinking the other day. She was gracious enough to speak at the drop of a hat when my baby was born. She pulled together a sermon on a difficult subject, and delivered it with humor, candor, and seriousness. It was amazing! 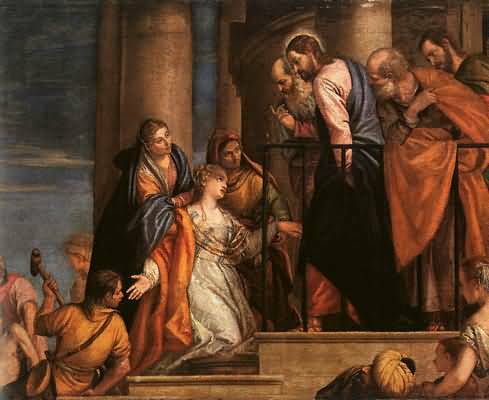 When she reported that she had done so to some of her loved ones, they seemed to have mistranslated Paul, and accused her of violating the Bible because of something Paul said in his letter to Timothy. Paul, in the same passage, recommends that women keep their hair-dos to a minimum, same with gold or pearls. I’m not sure exactly the context that he was writing in, but it is a dubious proposition to just use it prescriptively, as if we were Timothy. That is why I am thankful that, unlike many churches in town, we are not silencing anyone, but rather empowering all, as one in Christ, to equally serve. Everyone can participate in the movement, regardless of class, gender, race, or orientation. Paul, himself, says as much in Galatians when he declares that we are all one in Christ—that no divisions (Jew or Gentile, slave or free, male and female) change how we can serve and be served. If this seems to be in contrast to Paul’s teaching to Timothy, allow me to point you in a different direction. Nevermind Junia, one of the first apostles; or Mary Magdalene, who Augustine (much loved by Evangelicals) called, “the apostle to the apostles;” or Lydia, the famous Philippian church planter. Let’s turn to the book we’ve been studying during Lent: Mark. In Mark’s decidedly downcast Gospel, which tells of the suffering Christ, he describes the disciples of Christ—all men—as foolish, argumentative, dismissive, and ultimately self-centered. Jesus is alone as he faces death at the end of Holy Week. But who are the model disciples in Mark? The bleeding woman, for one. Her faith and audacity heal her. The Syrophoenician woman is still another. She argues back to Jesus and seems to convince him to have mercy on her. And finally, the unnamed woman who serves Jesus by pouring perfume on his body despite the protesting of the disciples. It is the women in Mark who are faithful. They are clearly equally gifted to serve, and silencing them is not only irrational, it is against God and his vision for the body of Christ. That’s why in Circle of Hope, we hold everyone responsible for serving. It is not a matter of rights or equality, necessarily, but simply a matter of doing what we can do for the sake of the Gospel. Everyone gets to participate. With this in mind, let’s pray for and celebrate the women that are shepherding us. Here’s a list to get us started—add to it! Rachel, Gwen, Julie, Bethany, Donna, Martha, Shelby, Nicole, Ra, Alene, Gwyneth, Faith, Allison, Becca, Mary, Sarah, Christine, Rebecca, Vanessa, Ellen, Lauren, Tori, Kristen, Marlee, Mariko, Sara, Kathy, Tricia, Sara, Kristen, Alli, Cristina, Serena, Anna, Katie, Kristen, Vanessa, Megan, Belle, Katie, Hope, Tevyn, Jenny, Tori, Kim, and Jenny. what a list! I am grateful that we are all responsible for serving. Being the Church is a group project! Glad to be doing it with you, Alison.